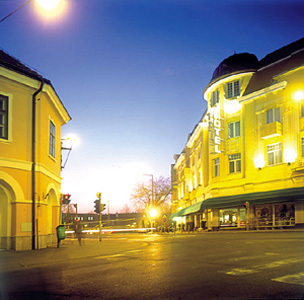 The town is situated in the neighbourhood of Zalakaros, which is famous for its thermal water, in the gentle hills of the Zala, not far from the tip of Balaton. The road No. 7 runs through the town, but you can also take roads No. 61 and 74 to get here. By rail it is accessible on the Budapest-Székesfehérvár-Nagykanizsa line or on the Pécs-Nagykanizsa line. It has served as a connecting link between the north, the south, the east and the west for centuries. Trade has always played an important role in the life of the town. The town has a rich history: it was inhabited as early as the prehistoric age, later the Romans settled down here. It was first mentioned in a document by King Béla IV in 1245 under the name "Knysa" meaning a prince. A letter written by King Charles Robert refers to the fact that the town used to have a castle, too. During the Turkish invasion, especially after Szigetvár had been defeated, the castle of Nagykanizsa led by captain György Thúry played an important role in the defence. After the liberation of the castle in 1690, the Court of Vienna made a decision about pulling down the castle, but rebuilding of the castle from its stones started in the 1700s. The Church of Alsóváros is still one of the most outstanding sights of the town. It was built from the stones of the castle and its holy-water basin was carved from an original Turkish tombstone. The oldest building of the town houses the György Thúry Museum, in the court of which you can see an original Turkish well. The memory of the castle is preserved by the Castle Gate Monument erected in 1988. 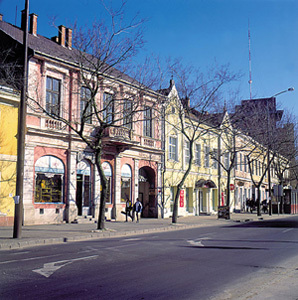 The golden age of the town was in the 19th century: first it became the market centre of the region and by the end of the century it developed into the administrative and cultural centre. After the construction of the railway lines, it became an important junction. The present townscape reflects the atmosphere of the old times, apart from the hilly streets, the town also has a lot of green parks. In the main square of the town you can see a beautiful old building, the symbol of the town, the so-called Vasemberház (Iron Man House), which was named after the sign-board with an armoured knight on the wall, which used to belong to an ironmonger. The town has lively cultural life with gastronomic, music festivals and programmes which preserve traditions. An outstanding event is the Day of the Town (April), and the World Games with Stilts in June, which also provide entertainment for children and adults, too. 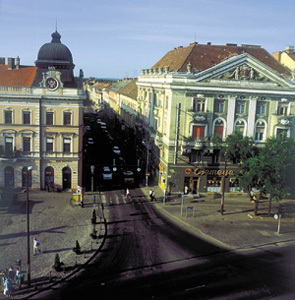 The town is well-known for the lovers of jazz, as in July Cserfő Jazzland is organized, and the International Jazz Festival is held in October every year with the participation of world-famous stars. Another important event is the Wine and Dumpling Festival, where the wine-growers of the town present their noble wines, and visitors can also taste a wide range of traditional dishes from Zala, such as the "dödölle"(dumpling). Those who prefer active recreation can spend their free time cycling, riding, playing sport or hiking and at the same time they can enjoy the natural beauties of the neighbourhood. 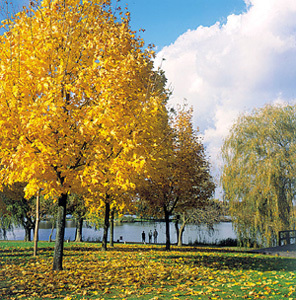 In the Csónakázó-lake (Boating-lake) which is situated at the border of the town, boating and fishing are offered, in winter visitors can skate on the lake, and the paths around the lake are excellent for romantic walks. The lovers of hunting can collect nice trophies in the forests nearby offering a wide variety of game such as deers or boars.